their own hands and turning to their peers, the web and social media to find answers. use cloud technology to add multichannel tools and support growing demand for chat, social, SMS and video. 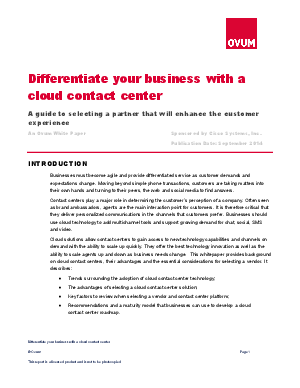 Recommendations and a maturity model that businesses can use to develop a cloud contact center roadmap.